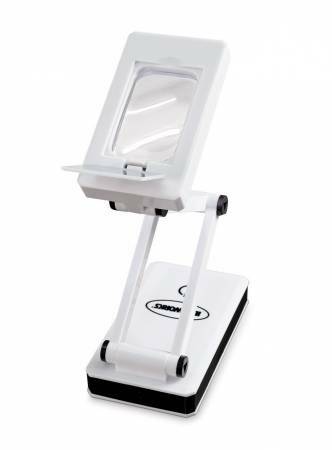 Super bright LED 18 LEDS with a built in magnifier. Plug in using the included USB cable, and work away! Lamp folds to multiple positions for ease of use, and has three brightness levels. There's even a 3x magnifier for closework. Stays bright for up to 100,000 hours.